Nestled about 25 km from the posh M G Road, Bangalore is a small hamlet called Begur off Bomanhalli on the Hosur highway. 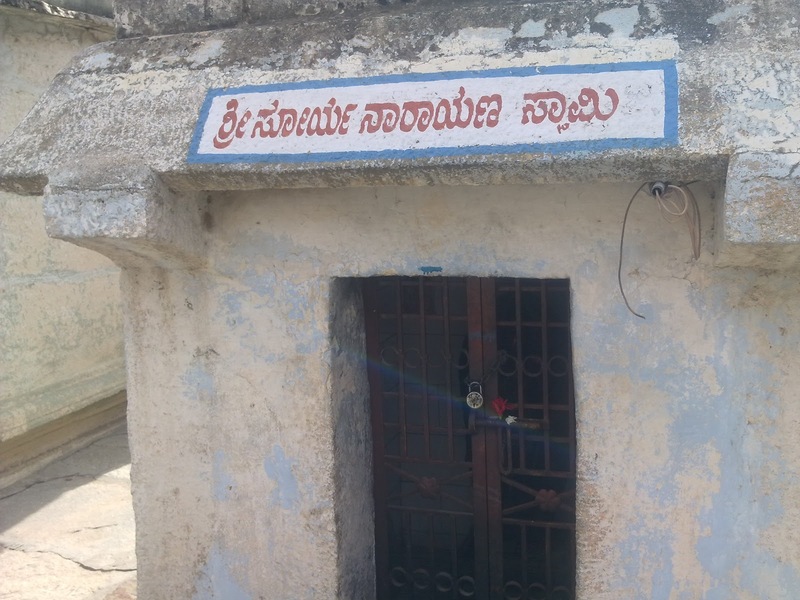 This insignificant village was once a great center of Sanskrit and Vedic studies; sadly today amid the ravages of time subsist a reminder, and is the 1300-year-old Sri Pancha Lingaeshwara or Begur Temple. Sri Kulutunga Raja the First of Chola Dynasty, and Sri Rajasimhanandi of Talakad Ganga Dynasty built this Temple in 8th century A D. They built about 108 Temples in South India, and this Temple is 18th in hierarchy. Built in granite the Temple reflects simplicity and grandeur, and truly has an ambience that is spiritual and sanctified. Sri Parvati Sametha Nagaeshwara Swamy Linga This Shrine has a Nava Ranga, and is an area where devotees can pray looking towards the Garbha Griha (Sanctum Sanctorum) of Sri Parvati Sametha Nagaeshwara Swamy Linga. There are Idols of Sri Ganesha, Sri Chamundaeshwari, Sri Kaala Bhairava, Sri Vishnu, Sri Soorya Narayana, Sri Chandra, Sri Sapta Matruka and Sri Kashi Vishwanatha facing north towards Kashi in the Nava Ranga. Another interesting aspect here is that the idol of Sri Soorya Narayana (Sun God) is placed facing west towards this Linga, and according to B N Lakshman, nephew and assistant Priest to B S Ananth Deekshitar, this probably is the only Temple in India where Sri Soorya Narayana is placed like this. Traditional Temple Vaasthu Shastraa proclaims that the idol of Sri Soorya Narayana should be placed facing east. This Temple also has a small shrine dedicated to Him. This positioning according to B N Lakshman Deekshitar is to encompass the first rays of the rising sun on the Moola Vigraha, or the Linga. This Temple is also known as Bhaskara Kshetra (Sun Temple). There is a colourfully drawn Yantra (Divine Symbol) below carvings of Uma Maheshwara and Ashta Dik Palakas (8 Guarding Angels) on the ceiling. Standing here facing the Sri Parvati Sametha Nagaeshwara Linga and praying is said to ward off mental depression, enemies, disease and protection from black magic etc. 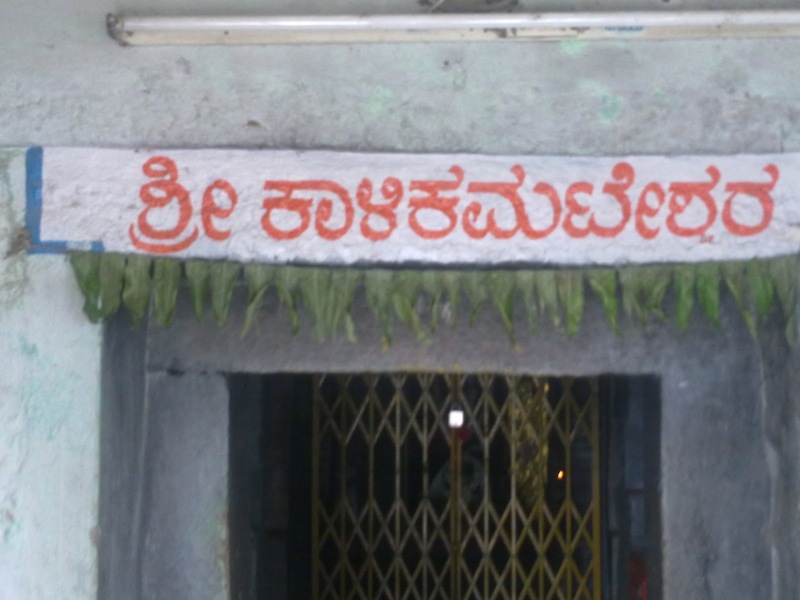 Area between Nava Ranga and Garbha Griha is a room known as Sukanaashi, and is a place where Pooja Samagri (Articles used for Pooja), and Utsava Moorthi (Idols used for processions during Temple Festivals are kept). This Linga is about 3.5 feet long and is usually adorned with jasmine, bilva leaves, kankambara flowers, vihbhuti (Sacred Ash), cloth and sandal paste etc. Outside the Nava Ranga is an idol of Sri Nandi facing the Linga, and behind Sri Nandi is a Homa Kundam (Altar where Homam or a special type of Poojas are performed). There is a small Sri Nandi facing this Homa Kundam. There is a seperate shrine for Sri Parvati, and is represented by a five-foot idol of the Goddess. She is also known as Sri Dakshina Kali and standing left of this idol and praying is believed to cure all blood related diseases, including blood cancer. This divine form of Mother Goddess is the consort of Sri Nagaeshwara Swamy, and is never seen with other forms of Sri Shiva that are worshipped here. Praying to Her also bestows happiness, wealth and spiritual solace. At the entrance to this shrine is the oldest idol of Sri Ganesha found in south India, and according to B S Ananth Deekshitar, Chief Priest, is about 1300 years old. According to recorded archeological documentation there are only two, two-handed Ganesha's in the world and are in Pillaiyarpatti, Tamil Nadu and in Afghanistan. There is no mention of the Ganesha idol seen here. This Ganesha idol is in Chola tradition, and is seen holding a Linga in the right hand. 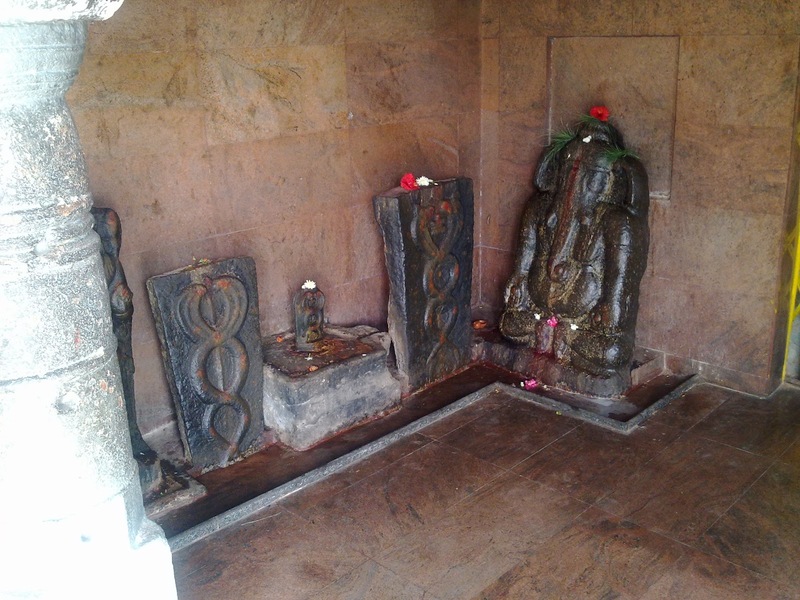 The idol of Sri Karpaga Vinayaka at Pilliarpatti has the trunk turned to the right (Valampuri), and here it is to the left (Edampuri). Pilliarpatti Temple is rock cut and probably was built around 4th century A.D. by Pandian Kings. A master sculptor called 'Ekkattur Koon Peruparanan' carved Sri Shiva Linga and idol of Sri Karpaga Vinayaka in this Temple. His signature on a stone inscription can be seen in the Sanctum Sanctorum and is inscribed in Tamil language that existed between 2nd and 5th century A.D. The idol at Afghanistan is in a standing posture and has a number of ornaments adoring the deity and was built at a later era*. 1 Two-handed Ganesha represent Pranava or Om, the sacred syllable from which Sri Parvati created Sri Ganesha. Sanskrit and Tamil are two ancient languages of India with divergent origin; yet, both eminently project the same heritage evolved in religion. Their alphabets are different, yet the letters, which represent OM, have a remarkable semblance. If the Sanskrit OM resembles the head of an elephant with a raised trunk, the Tamil OM has almost the same shape with a downward trunk. In fact, in all the major Indian languages, although the alphabets vary much, this resemblance is noticeable in all letters that represents OM*. There are also idols of Sri Subramanya in serpent form, Sri Soorya Narayana and a carving on the wall depicting a scene from the Puranas (Fables). 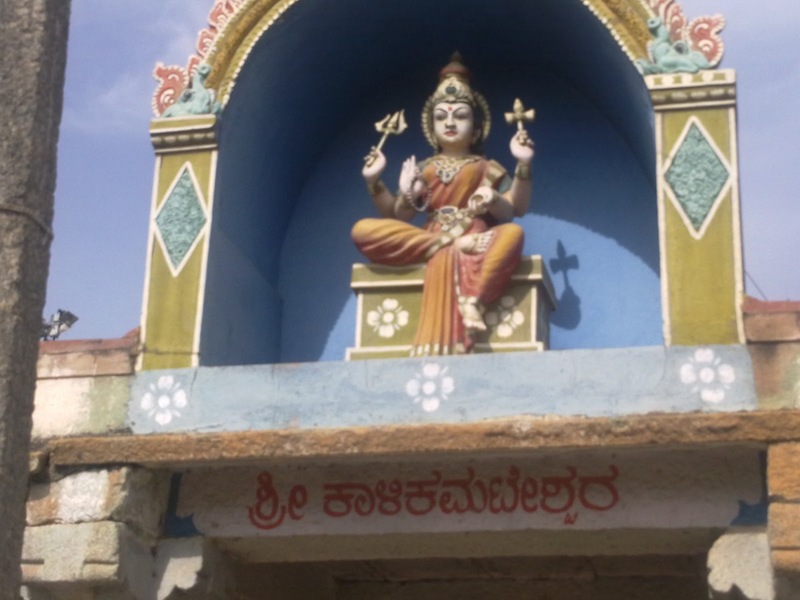 The shrine of Sri Choleshwara is where unmarried girls come and pray, standing below the carved Ashta Dik Palakas (Eight Guardian Angels) and Uma Maheswara on the ceiling, for an early and good alliance. 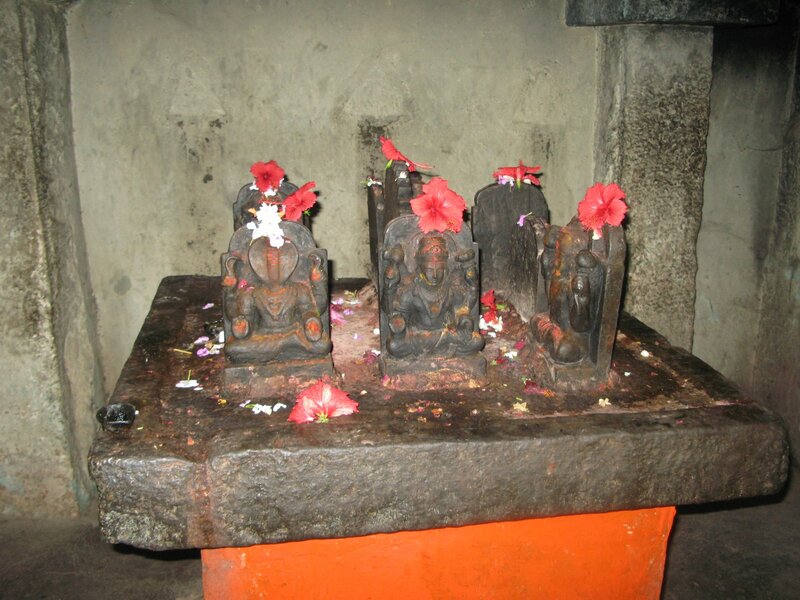 The Linga is about four feet high, and there are no other idols in the Nava Ranga here. There is a Sri Nandi in the Sukanaashi about two feet high facing the Lord. The idol of Sri Kali Kamateshwara is about three and a half feet high and is very similar to the idol of Sri Mookambika at Kollur. Both idols have a Linga (Depicted as the head of Sri Eashwara) placed at their feet. Here the idol is known as Kamateshwara Linga, and is less than one feet. On the ceiling of the Nava Ranga there is a Padma (Lotus) shaped carving and devotees come here and pray to Sri Kali Kamateshwara for Santhana Bhagya (Progeny), court disputes, health and protection from enemies etc. In the Nava Ranga is an idol of Sri Ganesha. An idol of Sri Nandi faces this idol at the entrance of this shrine and is placed not directly to the idol, but towards the right. Hence it is not auspicious for Sri Nandi to face Shakti or Divine Mother in Rudra (Angry) form directly. 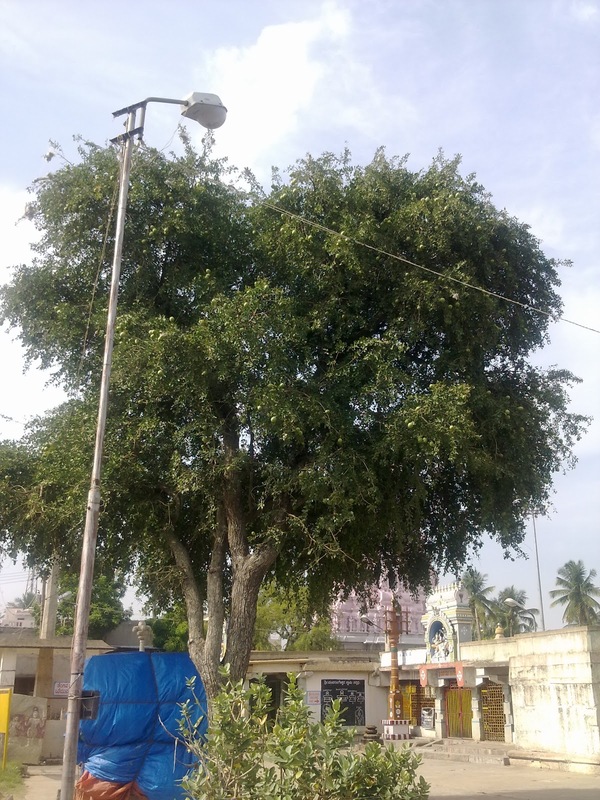 There is a huge idol of Sri Nandi (About four feet) in front of this Shrine of Sri Nagareshwara here in Begur. As mentioned earlier there is a Shrine for Sri Soorya Narayana here and is located behind this Sri Nandi. Here again the idol of Sri Soorya Narayana is placed East, facing West towards the Linga of Sri Nagareshwara. It is believed that Sri Kalinga Sarpa or five-hooded cobra resides in the Temple, blessing and protecting devotees who come there. In the night Saptha Rishis (Seven Sages) and Ashta Dik Palakas (Eight Guardian Angels) are believed to perform Poojas here. The last Shrine is dedicated to Sri Karnaeashwara. This is the smallest of all the Lingas here and measure about two and a half feet. There is a small Sri Nandi in front of this Linga and is devoid of Nava Ranga and Sukanaashi. Devotees stand on the right side of the Linga for relief from stomach pain and other stomach and intestine related diseases, in front for ear pain and other ear related problems, and left side of Linga for paralysis, nervous problems and brain disorders. There is also an altar for Nava Graha Mantapa (Nine Planets) in this Temple, and is near the Shrine of Sri Parvati. The shrine for Sri Soorya Narayana is in front of Sri Nagaeshwara's shrine, behind the idol of Sri Nandi. 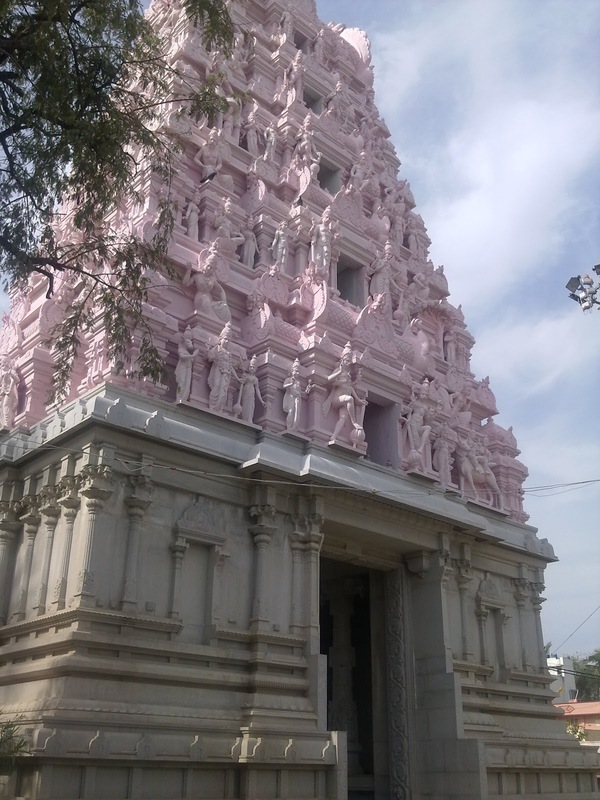 The Temple is built in granite, and entrance is through a small Raja Gopuram. A stone Sri Vrishabha Kambha is seen outside the Sri Kali Kamateshwara shrine and depicts Sri Nandi, and usually seen in most Sri Shiva Temples. In ancient times an oil lamp used to be lit on top of Sri Vrishabha Kambha, and this ritual does not exist anymore. Sri Garuda Kambha is seen in most Sri Vishnu Temples. Kambha is a granite pillar with carvings in semblance like a Dwaja Stambham (Flag Mast). Sri Vrishabha form of Sri Nandi is depicted as a complete bull without any human attributes. Sri Nandi has a human face with a body of a bull. There is another stone Sri Vrishabha Kambha in the Temple courtyard, over 30 feet tall and one of the tallest in Karnataka. At the base are carvings of Sri Ganesha, Sri Linga, Sri Vrishabha and Sri Brahma Rakshas haunting the Chola King Sri Kulutunga Raja the Second, when he committed Brahma Hatya or murder of a Brahmin. This legend from antiquity tells a tale of a Rishi of great sanctity and perception who blessed a poor Brahmin with divine water. This water was placed in a Sorai Kai (A type of Gourd) or the vegetable used to make the base of Tambura instrument, and had divine elements to convert anything it came in contact into gold. The Rishi also warned the poor Brahmin not to speak to any one, since this gesture could cause the magical properties of the water to disappear. In the night the Brahmin took refuge in the sugar cane storehouse of the Chola King. In the morning people where amazed to see that all the cane, had turned into gold, since a few drops had trickled out when this vegetable carrying the water was placed down. When Sri Kulutunga Raja the Second heard this news, he thought that the Brahmin had divine powers to convert anything to gold, and ordered his arrest. The flabbergasted Brahmin was petrified and refused to speak, and adhered to the warning decreed by the Rishi. Away from his family and the solitude of the dungeon finally killed him. His death bought Brahma Hatya or the sin of killing a Brahmin to the King. As atonement the King built many Temples and finally got salvation after completion of Sri Tiruvidai Marudhur Temple near Kumbakonam in Tamil Nadu. 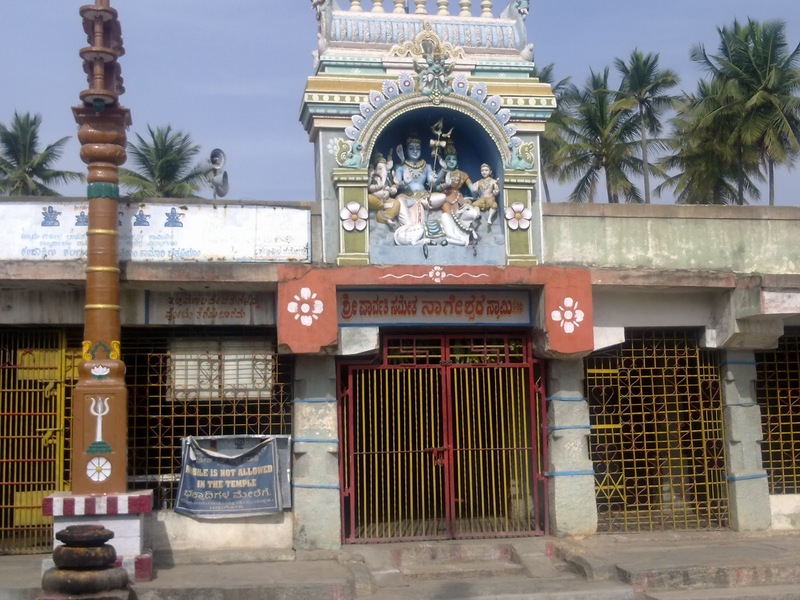 Outside the Shrine of Sri Nagaeshwara, in the courtyard are a carved wooden Dwajastambha (Flag Mast) and Bali Peetham (An area where the subtle energies of the Temple reside). There is also a stone carving on a slab of Sri Kulutunga Raja the First of Chola Dynasty who built this Temple, and his wife behind the Sri Vrishabha Kambha. There are remains of an ancient wall and this small slab has inscription in Kannada, inside the Temple. These inscriptions however have been dated in the Karnataka State Gazetteer Part 2 as 9th century A.D. and the content in this book, page 1144, reads as follows "Bangalore is the capital of Karnataka, and was the capital of princely Mysore from 1831. A popular story is narrated on the origin of the present name. Hoysala King Viraballala had to satiate his hunger with boiled green beans, served by an old poor woman. After the food was served to him, he called this place as 'Benda Kaluru', which became Bangalore in course of time. A stone inscription dated 9th century found at Begur mentions the place as 'Benguluru' and belies the above story". The Vimanas on all Shrines have sculptures on them, even though not very intricate have an awesome appeal. There is a well inside the Temple premises catering to all Sthala Theertha, and this water is used for all Temple rituals. Shami Vriksha and Bilva Patra are the revered Temple Trees. Legend and Historical Information: There is no written or a spoken declaration from antiquity about the Sthala Purana (Legend), except for the fact that this Temple was built, patronised and conserved by the Talakad Gangas and the Chola Dynasties. B.N. Lakshman Deekshitar spoke about an interesting prophecy made when Naadi Shastra (An ancient traditional method of predicting past, present and future using palm leaves) was done to find out more about the ancient past of this magnificent Temple. It revealed that a dominant Sage by the name of Sri Bodayana Maha Rishi and his disciples built Sri Panchalingeshwara Temple between 3000 and 5000 years ago to worship and perform Sadhana (Penance) and not by Chola and Talakad Ganga Dynasties. Also it is believed that Sri Ravana after loosing the Sri Atma Linga in Gokarna (A place in North Kannara, in Karnataka) , worshipped in this Temple and spent the night there before leaving for Sri Lanka. According to legend, Sri Ravana the king of Sri Lanka performed penance at Kailash and was given a stone Sri Atma Linga, by Sri Shiva. Sri Shiva decreed that if this Atma Linga was placed on the ground it would have to remain in that particular place for worship. Ravana intended to carry the Atma Linga to Sri Lanka. The Devas (Gods) however feared that with this divine stone in his possession, Sri Ravana would do great harm to them. They implored Sri Shiva, who sent Sri Ganapathy to prevent the Sri Atma Linga from reaching Sri Lanka. During the journey back home, Sri Ravana, paused at Gokarna and desired to bathe and perform his Sandhyavandana (Evening Prayers) before nightfall. Sri Ganapathi in the guise of a small boy materilised before Sri Ravana, who requested the boy to hold the Sri Atmalinga, while he bathed in a pond. The boy agreed but cautioned that if taken a long time , would call out thrice and then place this sacred stone on the ground. As pre determined by destiny, Sri Ravana did not emerge from Pooja and rituals on time, and was enraged to see Sri Atmalinga placed on the ground, where it remained firm and immoveable. He attempted to extract the Sri Atma Linga from the ground, but found it to be immoveable, as the Devas had placed the weight of all the three Lokas (Worlds) on the Sri Atma Linga. This Sri Atma Linga is worshipped to this day in Gokarana as Sri Mahabaleshwara (God of strength). In the Begur Temple there is a Sri Ravana Vahana (Chariot) that is used to carry the Sri Utsava Moorthi (Festival Idols) of Sri Nagaeshwara and Sri Parvati. Karnataka State Gazetteer page 223 has informative content about Gangas of Talakad and reads as follows "The Gangas of Talakad ruled in the southern parts of Karnataka from about the middle of the fourth century to the end of 10th century A.D.". The history, the chronology, and the reign periods have been the subject of protracted controversy among the historians. Fleet regarded the majority of the Ganga copper plated as spurious and unhistorical. Lewis Rice however thought that the majority of their copper plates are genuine and dependable for reconstructing their history. Thus the history of Gangas still bristles with problems. The origin of the Gangas has been narrated only in later inscriptions beginning from the tenth century A.D. According to them they were first ruling in Ayodhya and later at Ahichchhatra and the two princes Dadiga and Madhava migrated to Gangaperur in the South and established their kingdom Gangavadi 96,000 with Nandagiri and Kuvalalapura as their important cities. After some time changed their capital from Kuvalalapura to Manne and subsequently to Talakad. Of these places Ayodhya and Ahichchhatra are in North India; Gangaperur is in Cuddappah district in Andhra Pradesh; Nandagiri is Nandi Hills near Bangalore and Kuvalalapura is Kolar. Karnataka State Gazetteer Part 1 page 229 "The Gangas are unique in the history of Karnataka. Perhaps few dynasties ruled longer than the Gangas. The whole of southern Karnataka were united under them for many centuries. They also controlled the fortunes of the Deccan for many decades. The dynasty produced some of the ablest military rulers and distinguished men of culture. The Ganga Monarchs called themselves as Dharmamaharajas and this is reflected in their administration. They followed the tenets of Manu and Kautalya in revenue, military and judicial departments. The Gangas patronized Shaiva, Vaishnava and Jaina religion. They also patronized Kannada and Samskrita literature. References have already been made to Madhava, Sripurusha, Pujyapada, Durvinta, Chavundaraya and other literary men. The Gangas also contributed to the development of art and architecture. 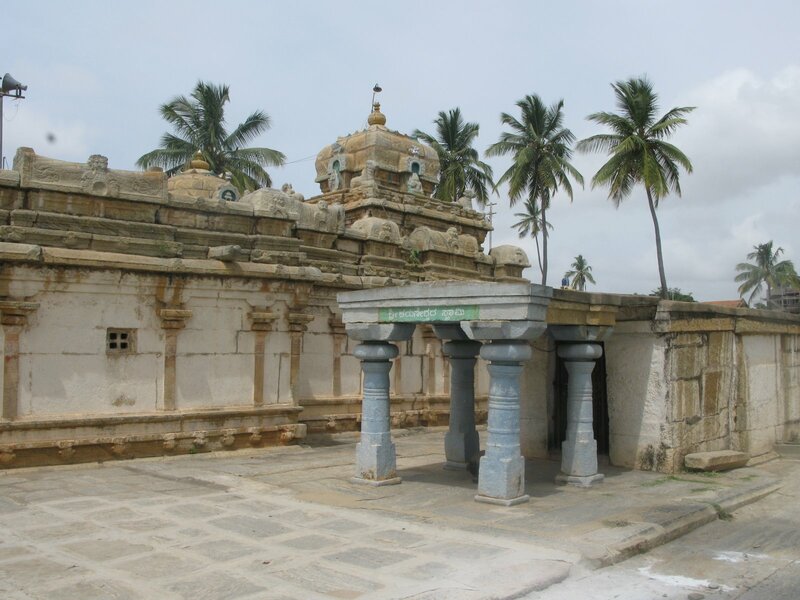 They followed the Dravida style of Temple architecture and built many Temples and basadis. Their best specimens of architecture are seen at Shravanbelogola. In the field of sculpture the monolithic statue of Gommateshvara at Shravanbelogola is alone sufficient to immortalise the Gangas. This tallest freestanding image has been considered as a unique sculpture in the art history of the world. The Gangas erected large number of hero-stones of high artistic merit. Their bronze sculptures though rare are of excellent workmanship. Thus the Gangas distinguished themselves in the history of South India". Seven Days before Anuradha Star, during Chaitra (Mar-Apr) is Dwaja Rohana or hoisting the Vrishabha Flag on Dwaja Stambham (Flag Mast) inside the Temple. On the seventh day the Chariot Festival commences and different embellished Chariots carry the Utsava Moorthi (Festival Idols) of Sri Nagaeshwara and Sri Parvati. Some of the Chariots are Sri Nandi Vahana, Sri Vrishabha Vahana, Sri Shesha Vahana, Sri Gaja Vahana, Sri Soorya Mandala and Sri Ravana Vahana etc. During the last day of Temple Chariot Festival, Utsava Moorthi of Sri Nagaeshwara and Sri Parvati are taken out in a decorated Palanquin, and about 20 Utsava Moorthi from neighbouring Temples come here in decorated palanquins and participate in this grand Festival. During this Festival, Kalayana Utsava or the marriage ceremony of Sri Nagaeshwara and Sri Parvati is conducted. Shiana or consumation of these marriage vows between Sri Nagaeshwara and Sri Parvati is celebrated on the last day of this 13th day Festival. For this ceremony the idols are placed on a specially constructed bed with offerings of fruits and milk etc. On Shiva Rathri (Feb), four Jaama Abhishekam are performed here. These special Abhishekam start at 5 AM and continue till 10.30 AM of the next day, and the Temple is opened for devotees to come and take part in these rituals. Special Poojas are performed on Karthika Somvara (Oct-Nov), and the Temple is open from 5 AM to 10 PM. During Navarathri Festival (Oct-Nov), Lalitha Sahasranama Pooja is performed to Sri Parvati. On the last day (Vijaya Dashami), Utsava Moorthi (Festival Idols) of Sri Nagaeshwara and Sri Parvati are taken out to the village in an adorned palanquin. On Ugadi, Sri Rama Navami and Shankara Jayanthi (Adi Shankaracharya’s birthday) special Abhishekam’s are performed here. Kalayana Utsava is performed on request of devotees, and the Temple Priest chooses the time and date for this ceremony. Prodosha (Monthly) Poojas are performed in the evenings on the second day before Amavasya (New Moon). During Dhanur Maasa (Dec-Jan), daily Poojas are performed at 3.30 AM and Mangalarati is performed before sunrise. Sri B S Ananth Deekshitar is the chief priest, and his family has been the caretakers and priests (Archakas) of Begur Temple for the last 1300 years, and authorised by the Chola and Talakadu Dynasties. He says that this Temple is an energy zone and standing in specific places in the Temple have positive attributes and helps in mental peace, protection from enemies, diseases, skin problems, spiritual enhancement and protection from black magic etc. Abhishekam are important rituals performed here, and a few performed here are Rudra Abhishekam and Panchamritha Abhiskekam etc. Homams are also performed, and Yagnas are performed in a Yaaga Shaalas during Festivals and other important ceremonies. Rudra Abhishekam is performed on Monday mornings. Evenings generally Bhajans are sung, and other specified Poojas/Abhishekam or Homams as requested by devotees are performed. Sri Shiva is known as Abhisheka Priya (to be fond of), and Sri Vishnu is known as Alankara (Decorations) Priya. Boasts of Five lingas , each having its owns specialties. In the temple you will the oldest mention of the world of "Bengaluru" in Stone slab. Inscription is much older than the famous story of Benda Kadalu. The slab is in a neglected state and needs immediate attention. Temple is a Bhaskara Shetra ( Sun God ). Temple has a rich history and received the patronage of many rulers. Thanks a ton for the wonderful blog. It is very informative. There is a similar kind of temple in Hosur. A shiva temple, some 1500 years old and now in a very poor condition. The temple is said to relieve Lord Indira and his elephant Iravat from Bhramha hathi dosha after they won the battle killing virithurasua. Kindly let me know the Temple timings and the contact number of the Priest of this Temple so that i can contact and visit the temple. Sir, thank you very much for the information. I am planning to visit this temple. Kindly let me know the phone number of the priest so that i can find out the suitable time to visit this temple.